Ah smoking and the workplace, such a conundrum. Does anyone remember that Friends episode where Jennifer Aniston pretends to be a smoker to get in on all of the conversations that go on during smoke breaks? Well if you don’t, that’s the gist of it. “Rachel Green” chokes down smoke because she’s sick and tired of missing out on the gossip, the office politics down low, and even work trip invitations. Have you ever been the non-smoker at a conference? It can be tough. A lot goes down in those smoke pits. There can be a camaraderie among these outcasts. When anyone is told to take their habit elsewhere, they will bond with others like them. Smokers tend to create cliques that can affect the workplace dynamic. These cliques are tough enough to combat without managers showing preferential treatment to those in their smoking circle. In the same manner that smoke permeates through the air, smoking has a farther reach in the workplace than one might think. Sorry smokers, but someone has actually calculated what your dirty little habit is costing your employer, and time alone came to a surprising $3,077. The study, published in Tobacco Control was conducted pretty conservatively. The number is based on an average salary and five 15-minute smoke breaks per day, three of which took place during sanctioned break times. So really only two of these breaks affected the study. These break times are literally sending the organization’s money up in smoke. When you consider that 19 percent of all U.S. adults are smokers, this translates to a large percentage of the workforce. If nearly 20 percent of a given company’s workers are costing it an extra $3,077 per year (not counting the other cost factors involved) this might be something to take notice of. Smokers have also been reported to require more sick days due to smoke-related health problems. These additional days cost the company about $517 per smoker. There is also the higher cost of health care to consider. Smoking so greatly increases health care costs that many companies are asking their employees to take saliva tests to find out if they are smokers. Before these tests, employees self reported on their smoking status. So many were lying to get discounted rates that the saliva tests have become increasingly popular. The time, health care costs and reported lower productivity of smoking employees ends up costing the employer about $5,077 total. That could be quite the bonus. Finally figuring out what this habit costs the organization has lead to surprising research. 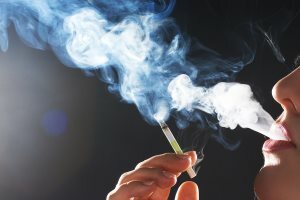 Because smokers, on average, don’t live as long, companies were left wondering if hiring them could ultimately save on pension and retirement benefits. It turns out that it can, but not in comparison with the other costs involved. Smoking turns out to be a lose-lose for organizations. Companies have started dabbling in smoking policies, bans and tests, but the privacy line is blurry. Yes, smoking costs the company, but so does obesity or alcoholism. Are we going to start creating policies about what employees can eat or drink based on what their health problems and lack of productivity cost? Employers walk a fine line when it comes to the habits and lifestyles of their workers. Smoking bans are an easy wagon to jump on, but all around corporate wellness programs is where this should all start. Offering your employees healthy alternatives, good health care plans, and wellness education are all investments. When you invest in employees, that money will always come back to the organization in a big way.